"Our goal is to fulfill this mission: to reach the standardization (service, product quality) and compete with the world within the framework of profitability, productivity and efficiency principles, to be effective and To be a firm that can measure success with customer satisfaction and produce fast, efficient and quality solutions to customer needs. 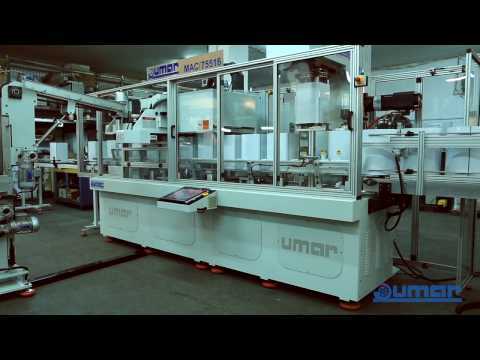 Umar Makina began its journey by producing Round Can Seaming Machine in Murat Efendi Street, Kucukpazar, Istanbul where is the centre of metal packaging industry in that time. In the same years, Umar Makina produced the first Die-Lining Machine in Turkey in 100m2 production area with a very few employee. 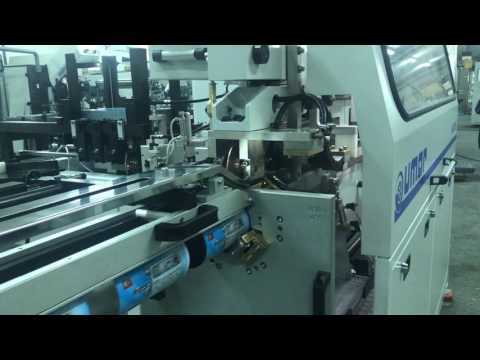 Metal packaging industry started to grow day by day and new production facilities were build up throughout Turkey. According to sector needs, Side Seam Lock Machine was produced. Lubeca Type Angular Seaming Machine which is very suitable for seaming of 5 Kg tin can used in olive oil industry was produced. In the years of when side locked and soldered tin cans usage was over, Umar Makina was started new journey all over the world by producing Seam Welding Machine. 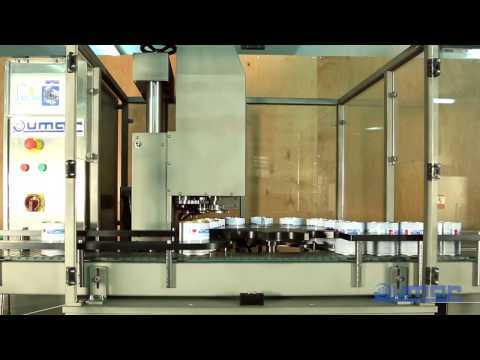 Efficiency of metal packaging was seen by people all over the world and as a result of this, in order to make the tin can rigid, Paneling (Embossing) Machine was manufactured. Umar Makina kept on developing new technologies and increasing its production capacity when it was moved to its new factory in Aksaray, Istanbul. Umar Makina was widened its product range by manufacturing conical pail assembly machineries. It leaded production of UN-approved pails by following all the innovations in that area since that time. Umar Makina made great contributions to tin can manufacturers in order to increase their efficiency and security by producing Press with Automatic Strip Feeder. Umar Makina has modernized its production facilities by purchasing its first CNC machine. Umar Makina became one of the leaders in usage of PLC automation system in Turkey by producing Automatic Strip Feed Press. Umar Makina was moved its new production plant with the area of 3000 m2 in Dudullu Industrial Zone,Istanbul where today still continues its operations. Umar Makina was improved can body welder production, after first production in 1982, by manufacturing Automatic Can Body Welder. Umar Makina has started to produce fully automatic and fast can body assembly lines by manufacturing firstly Horizontal Body Assembly Line. Umar Makina has started to manufacture food can production machineries by developing Seam Protection Line. It especially contributed to increase the quality of cheese cans. Umar Makina made great contributions to metal packaging industry by automating standalone machines. Umar Makina produced a successful combination machine by developing Multi Station Pressing and Lining Machine. 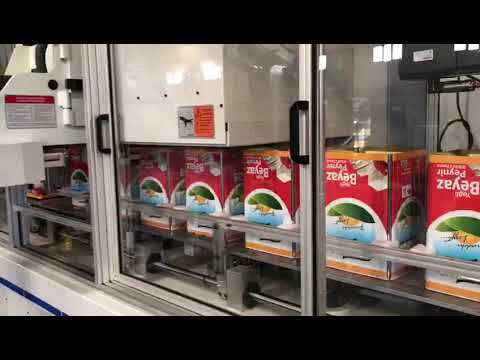 This machine was exhibited in Metpack Fair in Essen, Germany in 2014. 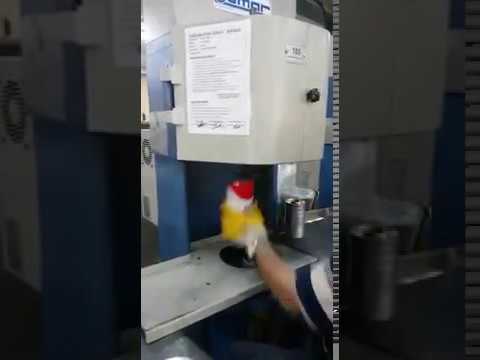 By producing efficient, modern and successful Irregular Can Assembly Lines, Umar Makina entered to the irregular metal packaging cans industry. Irregular End Making Line is developed with innovative and high-tech systems instead of conventional ones and so this line contributed to angular can production industry to solve their problems. 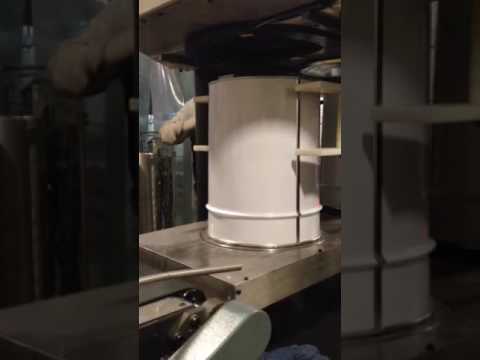 Fully Stainless Steel Seaming Machine was produced by Umar Makina in order to seam filled cans. In this way, Umar Makina will take a part in a new sector. We will be in Essen/Germany on 2-6 May for Metpack exibition. We will be in Dusseldorf/Germany on 4-10 May for Interpack exibition.